Farnham R.U.F.C. 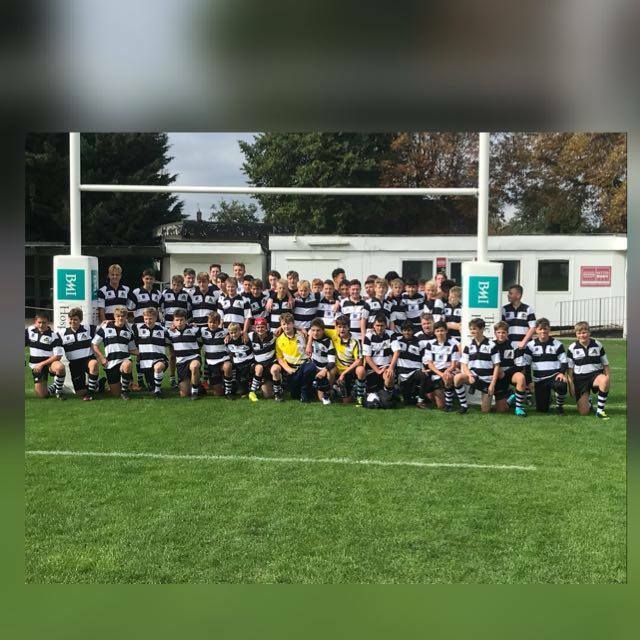 B TEAM 19 vs. 34 CAMBERLEY RFC ATEAM - 4 November 2018 - U15s - Farnham R.U.F.C. A Slow start that saw the team Improved as the combinations worked better and aggression levels rose through the match . The best features was the rucking, and an improved defence and attitude over the 60 mins showed how the team can really perform. Will Wickens captained the squad and led from the front with some penetrating runs . tries were scored by Charlie MCCubine who finished off a great under the posts as well as Jacob Stadler realising the opposition were out of position took a quick tap penalty releasing the backs to touch down in the left hand corner. The last try saw the running power of Jorge Compton break through on the right before beating the last defender to storm over . However the accolades have to go to khi Samuels who was huge in both defence and attack. Playing in the no 15 shirt he broke the Camberley defence on numerous occasions and solidly stopped their attacks . Notably AWARDED man of the match for this week . Considering this was the first time this cup team has played together, there were a lot of positives to take from it. We tried different combinations and with more opportunities to play as a squad we can work on the areas that require it.